After 12th February it's still possible to submit abstracts, however, they will not be considered for oral presentation. Last-minute posters may be submitted until 28th March. Candidates can select their preference for an oral or poster presentation. About 40 oral presentation slots will be selected not only based on scientific merit but also on the ability to attract the interest of a broad audience. The conference will include 2 poster sessions as part of the program, during which contributors will have the opportunity to introduce and attract attention to their work. In this way, we expect to stimulate lively discussions and exchange of ideas between participants and speakers. 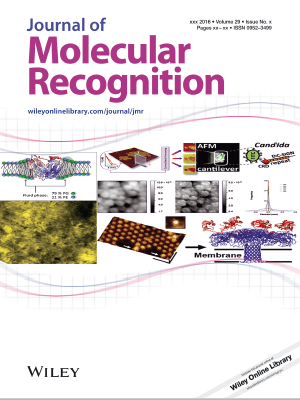 Like past years, scientific submission of talk or poster allows authors to participate to a special issue to appear in the Journal of Molecular Recognition. Each manuscript will be peer-reviewed as regular manuscripts. Submission will have to be deposited on the JMR website: https://mc.manuscriptcentral.com/jomr.